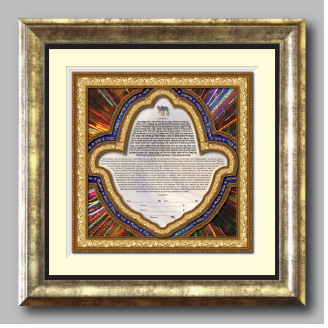 Like the "Tapestry of Light" Ketubah, the inspiration for the “Tapestry of Light Variation I" Ketubah comes from the concept that we each have our own unique and brilliant "light" that originates from Gd. The bridal couple share the very best of themselves, their "light", to weave together the tapestry that will bond them together and become the foundation for their marriage. 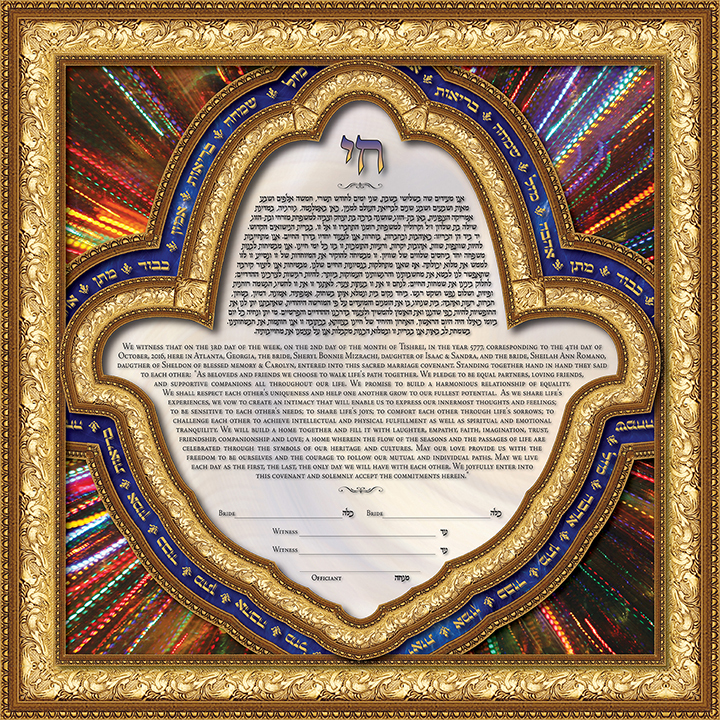 The background of this ketubah reflects luminous strands of multi-colored light, that symbolize the unique gifts each brings to the relationship. 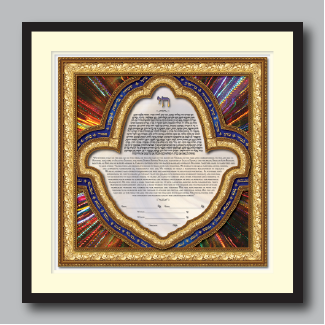 The text resides within a resplendent golden "Chamsa" which has been used for centuries as a symbol of luck, protection against evil and is known in Jewish lore as the “Hand of Miriam”. 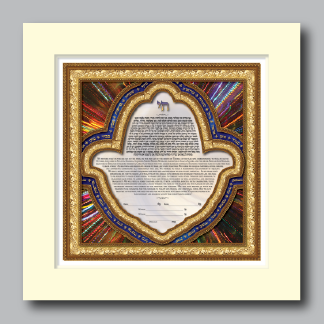 The Hebrew word, "Chai", meaning "life", is positioned above the ketubah text. 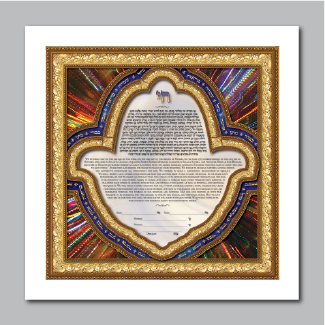 Surrounding the central Chamsa window, a blessings is bestowed on the betrothed couple: “Mazel - Luck”, “Simcha - Joy”, “Briyut - Health”, “Aymun - Trust”, “Kavod - Respect”, “Maton - Giving” and most importantly, “Ahava - Love”. These words represent the love shared by the couple, and the bounty they create as they "weave their tapestry" all the days of their lives.